Audi R8 V10 – A supercar is going to be more costly to insure, that’s simply the price of doing business and driving this car. If this is the car you want to drive you’ll notice it makes its way to the tenth place on the list with an average premium of over $3,200. If you’re driving this car you can probably afford the insurance without too much trouble. Nissan GT-R NISMO – This is another super sports car that costs a lot of money but isn’t quite as expensive as the Audi. As such, this car is built to be one that is driven hard at the track and is a bit more expensive to insure at a little over $3,300 per year. This car is more than worth the cost though with the immense amount of fun you can have from behind the wheel. Mercedes-AMG SL65 – As one of the most impressive sports convertible luxury cars on the market this is a car that has a powerful engine under the hood and shows up with the qualities everyone can admire and enjoy except one. This car is the eight most expensive vehicle to insure at $3,322 per year on average, but it can be worth the ride on the road with the top down. Mercedes-Maybach S600 – This high-quality limousine-style car is one that gives you the drive you want and the style you’re looking for when you want a car that can be yours to drive or allow you to have a driver handle the wheel for you. You’ll pay an average of $3,355 to insure this car but if you’re using this car as the one you want to be driven around in, chances are you can afford it. Mercedes-AMG C43 Convertible – This is the first car on the list to reach over $3,400 and it’s the only one on this list that doesn’t’ cost over $100,000. This car is in the sixth spot with its annual insurance costs but it can be a balancing act for you if you’re considering a higher model that costs more. Of course, if you’re spending less for the car you want to spend less for insurance as well. Mercedes S550 Convertible – The S-Class has been one of the most admired vehicles on the road for many years and this one is a great choice for you to drive but it will cost you in the form of insurance. The average price you’re going to pay is a little over $3,500 to make sure you can be covered in an accident with this attractive convertible. Maserati Quattroporte GTS – Most of the time this brand doesn’t hit this list at all, but the high performance, price, and power of the Quattroporte GTS is a car that will cost you an average of $3,547 per year to have the insurance you need for this car. This is a car that allows you to have the drive you want, but keep in mind you’ll have to spend more for the insurance coverage. Mercedes-AMG S63 Convertible – Here is another S-Class convertible and it is one that brings you the amazing power that you can enjoy and every glorious aspect of style and quality that you expect. Because of this, you’ll have to pay the third-highest amount on average to insure this car with the premiums coming in at a little more than $3,600 per year. Dodge Viper GTS – You know the Viper and you’ve admired it as one of the most impressive and honest ways to have the power at the track but that also makes this one of the most costly to insure with an average premium of $3,779 per year to cover this car. I guess the insurance folks are pretty confident you’ll take this car out to the track and have some fun. A more economical choice might be the Dodge Charger, which offers the same breathtaking 770-hp on the track as well, with out the incredibly high premium insurance cost. 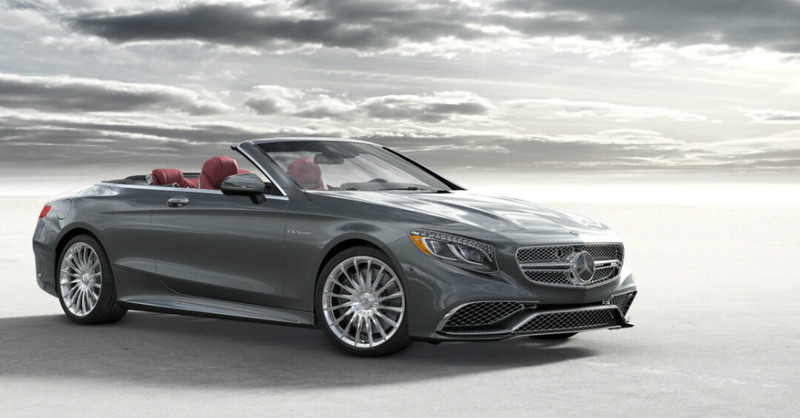 Mercedes-AMG S65 Convertible – This is the most expensive car on the market to insure with an average annual cost of $3,835. This car is one that offers you the most power from the Mercedes S-Class models and it is certainly a high-quality performance model to drive, but it’s also one that will make you cringe when you see the insurance bill.